One wise professor once told me that to use Ludwig Wittgenstein in a paper was to invite derision. He evidently felt that Wittgenstein is so variously interpreted that one will always be wrong about what he meant. Another professor once told me that it was possible to write a paper without mentioning Cornelius Van Til. Possible, but, for this Van Tillian blogger, quite unlikely. So I offer some interaction between Van Til and Ludwig Wittgenstein. Descartes' pursuit of certainty had led him to call into doubt the foundations of knowledge. In contrast, Wittgenstein argues that such doubting presupposes certainty since “a doubt that doubted everything would not be a doubt.”5 Instead, Wittgenstein sees the basis of knowledge in the form of life lived, that the “self” is bound to the world in which he inhabits. Therefore, there can be no transcendent position from which to know anything. Knowledge, then, is dependent on the particular form of life one is inculcated into. Wittgenstein's ground for belief is the form of life in which belief “fits.” Therefore, reasoning only goes so far since what counts as reasonable is dependent on the form of life in which it is used. For Wittgenstein, there are beliefs that stand in no need of justification and form the basic worldview from which all humans perceive the world. If how we decide what we can and cannot know is determined by the form of life, the linguistic community we are raised in, what, then, counts as justification to make a paradigm shift from one linguistic community to another? In particular, what would count as good reason to move from unbelief to belief in the Christian worldview? Just what, given Wittenstein's view, is the role of a Christian apologist? To answer this we might like to imagine how Van Til would have interacted with Wittgenstein's thought. As we will see, Van Til has much in common with Wittgenstein. He too rejects foundationalism of the Cartesian kind and recognizes the conditioned nature of human beings. However, there are some differences. To compare the two views I want to look at three issues - the role of interpretation in human experience, the assumption that some beliefs are obligatory and the ability to account for human knowledge. I think Van Til would have been sympathetic to Wittgenstein, but would have probed his thought in these three areas, highlighting how the Christian worldview makes sense of them. It might be suggested that Wittgenstein is not considering which religion one might belong to. He is merely suggesting that presuppositions about the world (for example, that I have two hands or that the ground will hold my weight) do not require belief in a particular god. As Wittgenstein remarks, “when I sat down on this chair, of course I believed it would bear me. I had no thought of its possibly collapsing.”9 In one sense, this appears to be the case since I do not verify at multiple points in time that God will sustain the earth for my weight or that “2” remains the correct way to describe the number of hands I see before me typing this blog. Van Til suggests that the form of life that the Christian has been given is all pervasive in their accumulation of knowledge. Thus, to some extent, even when they are involved in the form of life of the laboratory they remain in the mode given to them through the teaching of the Bible on a Sunday morning. Exegesis runs throughout the working week, both in the verbal revelation of scripture and in the natural revelation of the workplace. For the Christian, the form of life is unrestricted and all pervasive. There are a number of proposals within apologetic method that might seek to overcome this problem. For example, one might suggest that what is required is convincing empirical evidence for a particular belief. If a convincing enough case is made for the resurrection of Christ, it might be argued, then someone might be persuaded to change their opinion about the existence of God. However, since all evidence is to be judged from an already existing worldview, evidence must be such that it changes the presuppositions of the unbeliever. In other words, a paradigm shift must occur in which an entire system of thought is exchanged for another. Yet if evidence is judged from within an already existing worldview, how can it force the change without an appeal to the presuppositions by which the evidence is judged? Such a hypothesis—that Jesus rose from the dead—may be accepted by an unbeleiver. As an unbeliever is presented with the evidence for the resurrection, she may be convinced that Jesus rose from the dead. This would not commit her to adopt a Christian worldview since it does not necessarily follow that Jesus is God. She might, however, be convinced of the evidence and question her worldview. However, the empirical argument for the resurrection cannot hope to achieve such a result directly, but only indirectly as the unbeliever questions her presuppositions. In which case such a change in mind would not be due to evidence but the change of system by which the evidence was judged. In principle, therefore, belief and unbelief remain similarly justified in their positions as governed by their respective worldviews. As Wittgenstein says, “one can instruct a child to believe in a God, or that none exists, and it will accordingly be able to produce apparently telling grounds for the one or the other.”14 Given that the Christian does not believe that it is just as reasonable to believe in God as to not believe, it appears that, although evidence for the resurrection is good, it is not enough to show that one person is morally or rationally obliged to change his or her entire worldview to the Christian worldview. This is certainly commendable in as far as it recognizes the emphasis, certainly intended by Peter, that our defense is an outcome of a moral life under the Lordship of Christ (1 Pet 3:13-17). However, it remains difficult to explain how one is affiliated to the Church. If the unbeliever decides to join and assimilate into the Christian form of life, what has actually occurred? Furthermore, what prevents another form of life appearing to be superior to the Christian one? In principle, this version of an apologetic cannot avoid the possibility that forms of life are chosen on different bases than they ought to have been. Brad Kallenberg argues that all one can hope for, in that situation, is that we abandon the Cartesian certitude that is at the heart of such a doubt.17 If we are morally certain and psychologically certain, what need do we have of anything else? John Frame disagrees with Kallenberg since it is unclear how one separates psychological certainty from epistemic certainty. If we attempt to separate them, Frame argues, psychological certainty is “arbitrary or pathological”18 rather than for a reason. I am inclined to agree with Frame since what justifies knowledge as true or false (and ultimately the standard by which everything will be judged) is the self-attesting Christ. Consequently, the form of life is under the authority of the self-attesting Word of God. If, then, an impasse is reached between two worldviews it would appear that all one can do is speak louder. But is this the condition we are left with? It appears that what one needs in a traditional apologetic is not found in Wittgenstein's philosophy, namely a criteria for the correctness of the foundation on which to build. One is left with persuasion and explanation. As Wittgenstein says, “at the end of reasons comes persuasion.”19 But we are not left with anything like a certain objective proof, some way of saying that as the fundamental presupposition one ought to have “existence of God” "the truth of the Bible". This, I think, is a start in the discussion and I am not sure one needs to go further. One merely needs to suggest that epistemology does not operate in a moral vacuum What one believes is not merely a matter of fact but counts morally. Belief is not merely accurate, but carries moral weight. To deny this is to make any imperative pointless. There would be no obligation on anyone to believe anything. The third issue is how one accounts for human knowledge. What, given that human beings can know anything at all, would, metaphysically speaking, make this possible? It is quite right, then, that Wittgenstein denies that such comprehensive knowledge is possible for the human; it is beyond our conceptual reach, beyond any language-game. Yet knowledge proceeds on the basic assumption of that unity of knowledge. Reality cannot be comprehensibly expressed since to be comprehensively knowledgeable about the world is to be omniscient. But humans do assume a unity of knowledge. The human proceeds assuming that no new piece of knowledge will turn up anything that would undermine his beliefs. Since he cannot know comprehensively, such a possibility cannot be ruled out. Indeed, it might be highly probable.33 Yet he proceeds as if no such fact will come to light. The problem is illustrated in the movie, The Truman Show,34 where Truman discovers that his life is a facade, that he is being filmed and watched on TV. He escapes from the show to “reality.” Of course, the film's premise is that there is no way to know whether another layer of reality will not be exposed, that there are people watching the watchers. Even though Wittgenstein's response is to say that we reach the limit in the observing of how we operate in ordinary language, he cannot account for such knowledge without implicitly accepting an ultimate unity of knowledge. Otherwise there would be the distinct possibility of new knowledge emerging that would undermine his beliefs, another layer of reality as yet unseen. Wittgenstein's argument serves as a critique of Cartesian doubt, but it leaves open the question of how one can account for such an assumption. 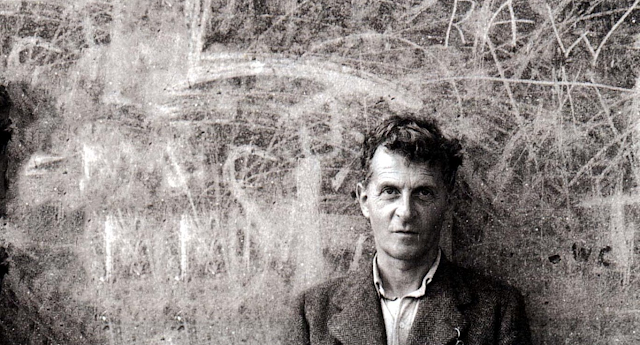 Wittgenstein writes: “I did not get my picture of the world by satisfying myself of its correctness.”47 It might be said that, for Wittgenstein, such basic beliefs are assumed, but only the Christian worldview provides the metaphysical conditions for such an assumption. One is not justified in believing that fire will burn just as much tomorrow as it does today by the fact that fire burnt yesterday, but one is able to trust such a basic belief not merely because one has it, but because human beings are designed by God to come to such beliefs. Positively, Wittgenstein offers the Christian with a number of arguments useful to the presuppositionalist position. Wittgenstein reminds us that a defense of a form of life must be one that is lived in practice. An adequate explanation for our hope is not to be divided into argument and lifestyle as if one can operate in isolation from the other.49 Wittgenstein also offers a deconstructive argument which aids us in helping unbelievers become epistemologically self-aware, especially those of a modernist persuasion.50 Wittgenstein's language-game theory also shows how language, as much as reasoning, is not static, but functions within a worldview and is used according to that worldview and thereby requires an analysis of the presuppositions of that worldview. However, Wittgenstein's insistence on the separation of language games like science and religion should be questioned. On Van Til's terms, it is just not possible for a person to live entirely compartmentalized lives - they are inherently religious. Also, I do not think what we believe to be a matter of fact, but a moral issue - some things are morally right to believe. Finally, and I may sound like a foundationalist when I say this, human knowledge assumes divine grounding (see here for this idea in full). 4Bruce Ashford, “Wittgenstein's Theologians? A Survey of Ludwig Wittgenstein's Impact on Theology” Journal of the Evangelical Theological Society 50, 2007, 360. 6On Certainty, 15e, § 94. 8Greg Bahnsen, “Pragmatism, Prejudice, and Presuppositionalism,” in Foundations of Christian Scholarship (Vallecito: Ross House Books, 1976), 267. 9Ludwig Wittgenstein, Philosophical Investigations, trans. G.E.M. Anscombe (Upper Saddle River, NJ: Prentice Hall, 1958), 152e, § 575. 12Cornelius Van Til, An Introduction to Systematic Theology: Second Edition (Phillipsburg: Presbyterian and Reformed, 2007), 195. 16Philosophical Investigations, 106e, § 325. 19On Certainty, 81e, § 612. 20Robert Stern, Transcendental Arguments and Skepticism: Answering the Question of Justification (Oxford: Oxford University Press, 2003), 5. 22Bahnsen notes that the end of Wittgenstein's career and life were marked by a disappointment that he had not reached the certain presuppositions for knowledge: “He never achieved the helpful end for which he hoped, for he never started with the presuppositions which alone can successfully complete the quest for certainty.” On Certainty was ultimately a drama with no final scene in which the quest concludes with a successful hero. The work ends in the same way it starts. Bahnsen, 271. 23Van Til in Van Til's Apologetic, 496. 30“No Dilemma for the Proponent of the Transcendental Argument,” 193-194. 31James Anderson, “If Knowledge then God” Calvin Theological Journal, 40, 2005, 64. 32Edward Caird, “Idealism and the Theory of Knowledge” Proceedings of the British Academy, Vol 1 (1903-1904), 95-108 http://en.wikisource.org/wiki/Idealism_and_the_Theory_of_Knowledge. 33“If Knowledge then God,” 65. 34The Truman Show, DVD, directed by Peter Wier (CA: Paramount Pictures, 1998). 35“If Knowledge the God”, 65. 36Cornelius Van Til, The Defense of the Faith (Phillipsburg: Presbyterian and Reformed Publishing Company, 2008), 65. 37Philosophical Investigations, 134e, § 472. 42“If Knowledge Then God,” 62. 43James Gould, ed., Classic Philosophical Questions (Columbus: Merrill Publishing Company, 1989), 350-360. 44“If Knowledge Then God,” 63. 45“No Dilemma for the Proponent of the Transcendental Argument,” 193-194. 47On Certainty, 15e, § 94. 49Cf. Brad Kallenberg, “Praying for Understanding: Reading Anselm Through Wittgenstein,” Modern Theology, 20, 4 (October 2004). 50Wittgenstein is often paired with Thomas Kuhn for a negative apologetic for the lack of certainty in science. Thomas Kuhn, The Structure of Scientific Revolutions (Chicago: University of Chicago Press, 1996).